Think you need a lifestyle change? Canada may be the destination for you! This vibrant and exciting country has become one of the most popular for Australians for 5 reasons. Check them out if you want to migrate to Canada! Think you need a lifestyle change? Well, Canada may be the destination for you! The thriving, vibrant and exciting country has become one of the most popular spots for Australian visitors who are looking for a change of scenery and a dose of adventure. Join in on the fun and choose Canada! A little hot in Australia? Why not try a cooler climate in Canada? Winter can drop to temperatures below 0 degrees, but summers are mild and pleasant. Some of the best spots to spend summer vacation are the Rockies in Calgary, where you can saddle up for a horseback ride, or relax on one of the many beaches of Vancouver city. In the cooler months, Canadians refuse to wait out the weather indoors, and instead, spend their days enjoying the great outdoors. If you enjoy spending your time outdoors, you will be happy to know that Canada has many different activities for any age, interest and budget. Summer offers the perfect opportunity for you to enjoy the stretching beaches, to cycle through the cities and enjoy the many sidewalk cafes. One of the best things about Canada is that the mountains and great outdoors are just a couple of minutes outside of the major cities. Hiking, kayaking and camping are popular activities, offering the perfect opportunity to view Canadian wildlife in its full glory. Winter brings cold temperatures and a great excuse to stay indoors, but most Canadians and tourists choose to hit the slopes for adventure. Snowboarding, skiing and even dog sledding are some of the top activities to enjoy outside the cities. As first world countries with incredible facilities and resources, both Canada and Australia have high standards of living. A 1-bedroom apartment in Australia can be up to 40% more costly than renting that same place in Canada, you can expect to pay 20% less for public transport and the cost of grabbing a quick burger from McDonalds is 10% less than what you would expect to pay in Australia. We often speak about the many achievements and ratings of Canadian universities and colleges across the country, but did you know that over 50% of Canadians have a secondary degree? 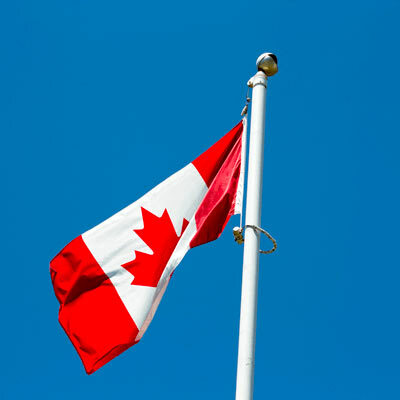 With a reputation for the highest education standards, it is no wonder that so many students from across the world decide to study abroad in Canada. Some of the top universities in Canada include the University of Toronto and McGill University, both of which have been rated in the top 30 institutions in the world. The cost of studying at these prestigious universities as a foreign student is known to be more affordable than most, starting at around CAD$15 000 per year. Younger children enjoy access to one of the world’s best government-funded education systems. Children attend fantastic schools from kindergarten to the end of their secondary school education, all funded by the tax payers. Traveling and working in exciting places sound like a dream? Well it’s all possible with the Working Holiday program. Thousands of international applicants choose to spend a year abroad in Canada for the exciting opportunities. Young Australians are the largest group of keen travellers who choose Canada for their experience of a lifetime, possibly due to the extreme sports and many job opportunities. Only a few selected countries are able to apply for the program and Australians are at the top of the list. You made find that you enjoy your trip so much that you want to stay for extra studies or a permanent work opportunity.